Siberian ginseng(Eleutherococcus senticosus), also known as eleuthero, has been used for centuries in Eastern countries, including China and Russia. 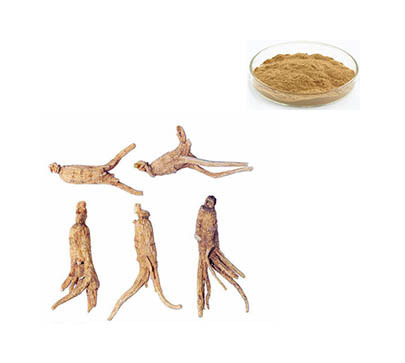 Despite its name, it is completely different from American (Panax quinquefolius) and Asian ginseng (Panax ginseng), and has different active chemical components. The active ingredients in Siberian ginseng, called eleutherosides, are thought to stimulate the immune system. Siberian ginseng is a shrub native to the Far East that grows 3 – 10 feet high. Its leaves are attached to a main stem by long branches. Both the branches and the stem are covered with thorns. Flowers, yellow or violet, grow in umbrella-shaped clusters, and turn into round, black berries in late summer. The root itself is woody and is brownish, wrinkled, and twisted.